Scottish singer-songwriter Gerry Rafferty – whose hits included the 1978 classic ‘Baker Street’ and ‘Stuck in the Middle with You’ with Stealers Wheel – has died at the age of 63 after a long illness. Comedian Billy Connolly paid tribute to his friend and former singing partner: “Gerry Rafferty was a hugely talented songwriter and singer who will be greatly missed. I was privileged to have spent my formative years working with Gerry and there remained a strong bond of friendship between us that lasted until his untimely death. “Gerry had extraordinary gifts and his premature passing deprives the world of a true genius”. 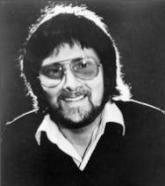 Gerald “Gerry” Rafferty was born on 16 April 1947 into a working-class family in Paisley, Scotland, the son and grandson of coal miners. Inspired by his Scottish mother who taught him Irish and Scottish folk songs as a boy, and heavily influenced by the music of The Beatles and Bob Dylan, he started to write his own material. In the mid-1960s, Rafferty earned money for a time busking on the London Underground – an experience that is said to have inspired his song ‘Baker Street’. In 1969, he became the third member of folk-pop duo The Humblebums which featured Billy Connolly and Tam Harvey. Harvey left shortly afterwards and Rafferty and Connolly went on to record two acclaimed albums for Transatlantic Records, including singles such as ‘Shoeshine Boy’ and ‘Her Father Didn’t Like Me Anyway’. Connolly and Rafferty decided to go their separate ways in 1971 and Transatlantic Records signed Rafferty as a solo artist. He enjoyed critical success but wasn’t able to break into the charts. Then, in 1972, he teamed up with his old friend Joe Egan to form Stealers Wheel and success finally came with ‘Stuck in the Middle with You’. The track was later used prominently in the 1992 movie Reservoir Dogs. After Stealers Wheel split up in 1975, legal disputes meant that Rafferty was unable to release any new material for three years. In 1978, he recorded his second solo album, City to City, which included ‘Baker Street’, the song with which he is most identified. The single reached No. 3 in the UK and No. 2 in the United States. His follow-up album Night Owl (1979) reached Number 9 on the UK album chart and Snakes and Ladders (1980) peaked at Number 15. But subsequent studio albums between 1982 and 2000 could not match the success of these albums and Rafferty spent his later years fighting alcoholism and depression. In November 2010, he was admitted to hospital in Bournemouth, suffering from liver failure. He died at home on 4 January 2011, of liver disease. Guitarist and singer Nick Reynolds – a founding member of legendary folk group the Kingston Trio – has died after his family agreed to take him off a life support system in a San Diego, California hospital. He was 75. Reynolds had been ill for some time with acute respiratory disease and other illnesses, his family said. 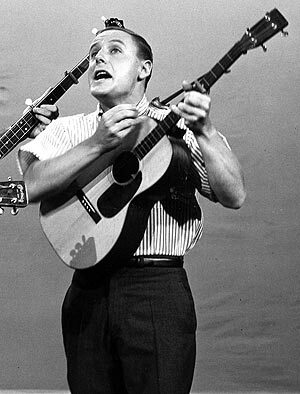 With hit songs like the Grammy award-winning ‘Tom Dooley’ (1958), ‘A Worried Man’ (1959) and ‘Where Have All the Flowers Gone?’ (1962), Nick Reynolds and the Kingston Trio were credited with helping to revive the folk music scene in the late 1950s – turning it into a mainstream force and paving the way for stars like Joan Baez and Bob Dylan. Born on July 27, 1933 in San Diego, California, Nicholas Reynolds demonstrated an early love of music and a talent for close harmony singing. He regularly performed sing-alongs with his two sisters and his Navy Captain father. It was his father who taught him to play guitar. Reynolds, Bob Shane and Dave Guard formed the Kingston Trio in 1957 after meeting while at college. Dave Guard later left the group over musical differences in 1961 and was replaced by John Stewart. Famous for their close harmonies and clean-cut style, the Kingston Trio were arguably the most vital and popular folk group in the world between 1957 and 1963. 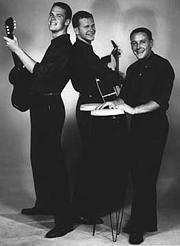 They won a second Grammy in 1959 for ‘Best Folk Performance’ for their third album, The Kingston Trio At Large. The group disbanded in 1967 as rock music began to overshadow their brand of folk. Nick Reynolds decided to take a break from music and became a rancher in Oregon. He returned to California in the mid-1980s and, in 1991, teamed up with Bob Shane again to form a new version of the Trio. He remained with the group until retiring in 1999. Fellow founder Dave Guard died in 1991, and his replacement, John Stewart, passed away earlier this year. Bob Shane is the only surviving member of the group.